From the best-selling Ram 1500 to the popular Dodge Journey we have plenty of options in stock to accommodate drivers of all preferences. See the most recent offers and incentives on our inventory. Check them out while you still can, these will not last forever. Take advantage of our knowledeable FCA Certified service technicians and a fully-stocked inventory of vehicle parts. In the event of an accident, we are ready to help. Pamby’s Auto Body offers professional general repairs on most domestic and foreign cars at our Auto Body Shop at 34 Danbury Road, Ridgefield. Our Body Shop is staffed with the most qualified technicians ready to answer your questions and address your Body Shop needs. We work on all makes and models! We will work with your insurance company on your behalf, including coordinating your rental car logistics and payment, as well as billing your insurance company directly. 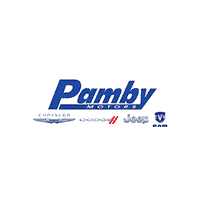 Pamby Chrysler Jeep Dodge Ram has been family owned and operated since 1948, when brothers Matty and Harry Pambianchi opened an Auto Body shop in Ridgefield, CT. Pamby Chrysler Jeep Dodge Ram is honored to be celebrating its 70th year of business in Ridgefield, CT! The dealership is proud that the third generation of Pambianchi’s are currently working with the second generation to carry Matty and Harry’s business forward, as well as having many Pamby employees work for 20+ years at the business. You will notice a genuine, family feel when you walk in the door at the Showroom, Auto-Body Shop, Service Center, or Parts Department. You are greeted with a smile and put at ease while Pamby’s gets the job done for you, with integrity and respect. Located on the border of Ridgefield, CT, and Danbury, CT, our Chrysler, Jeep, Dodge and RAM dealership offers a wide selection of new and used cars, trucks and commercial vehicles.